You’ve probably heard that old adage that it takes a village to raise a child, but it’s also true that it takes a village to run any business. Reliability is key whether you’re selling a service or a product, and shared knowledge is powerful! We find the website HomeStars indispensable, and try to contribute reviews (both good and bad) whenever possible. My Trusted Network list is also updated frequently, so please check in if you’re looking for professionals who are each top-notch in their industries. We’ve had an unusually wide range of experiences in recent months, and thought we’d close out the year by sharing a few highlights, as well as a couple of “buyer beware” warnings. 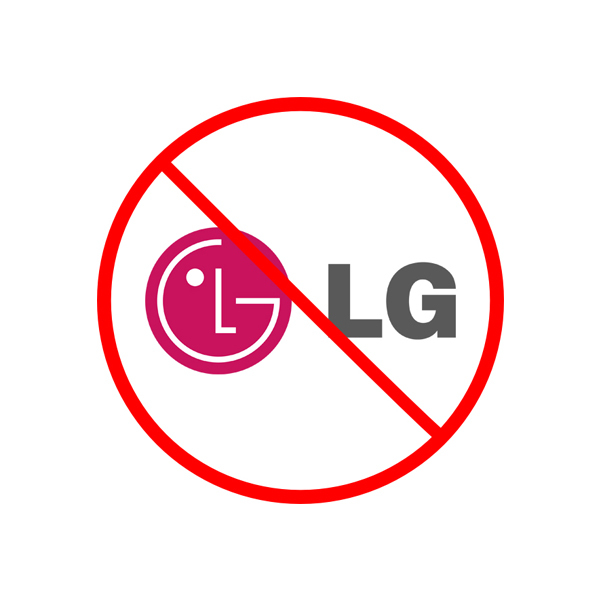 We’ll begin with what we’d like to term a public service announcement: say “no” to LG refrigerators. Our brand-new LG fridge died in the heat of summer at less than two years old. Sadly we’ve since found in online forums that compressor failures (a $1500 repair if not done under warranty) are a known issue with many LG fridges. LG appliances under warranty can only be repaired by LG-approved technicians, of which there is only one in the entire city of Toronto: ARS (Appliance Repair Service). ARS sent an unqualified technician to our home who managed to create a 3.5-foot gouge in our new kitchen floor not once, but twice. He also punctured the floor in other places, tried to hide the fact with wood putty, and then claimed the damage was already there. 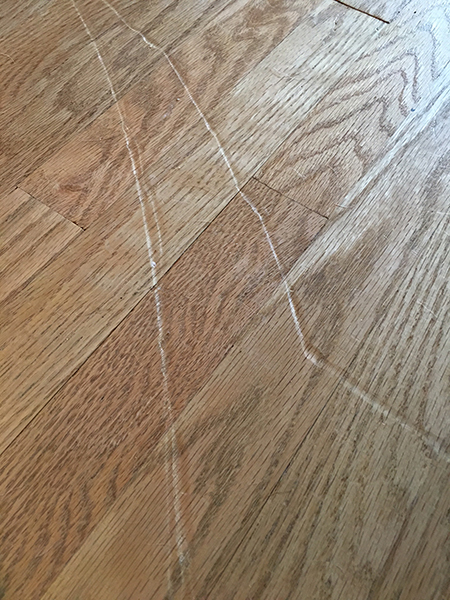 We had mind-bogglingly bad customer service calls with LG and with ARS, and now have a fridge that works but rattles constantly, and a 2-year old floor that requires sanding and refinishing. We will never be buying an LG appliance of any kind again. For the sake of my blood pressure, on to the happier stories. 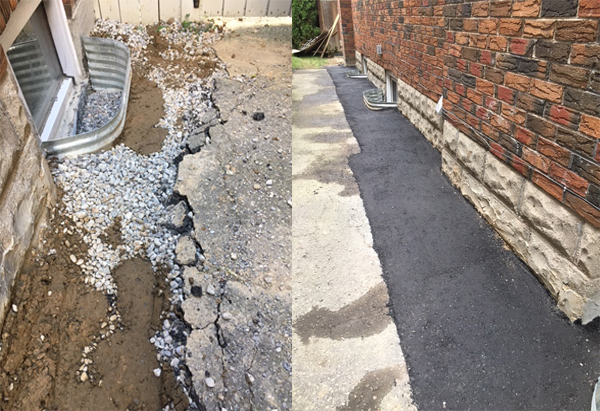 If you’ve ever needed asphalt repair, you may have experienced the same issues we did in trying to find someone willing to take on a smallish job that was not a full driveway replacement. Enter Danny from Seal All Pavement. He returned our call promptly, gave us a quote over the phone, and showed up within the week to do an exceptional repair job. We will absolutely be calling him back to seal our new interlocking patio next spring! As many people are already aware, our go-to guy for any contracting needs is Jason Deschamps. He’s helped us with house projects both small and large, and is a problem-solving jack-of-all-trades (you can see a sample of his work on our kitchen in this previous post). Our most recent SOS went out to Jason when we finally had a lovely “she shed” installed in our yard, and needed the walls and floors finished. 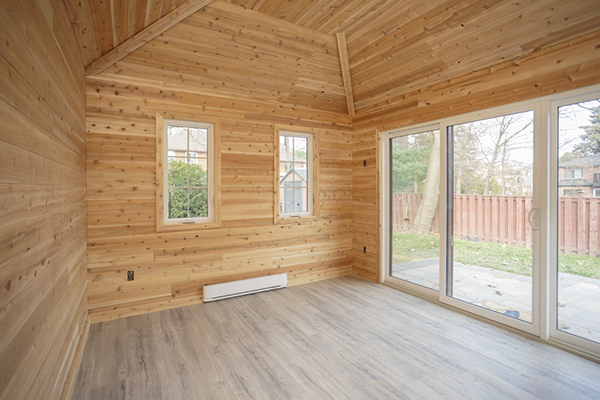 And here is where we found the designers at Summerwood Products had failed us again, as Jason helped us realize that insulating walls but not the vaulted ceiling was a bad idea (even if our intention was only to use it as a 3-season space). No roof insulation or venting plus running small heaters in cooler weather = all kinds of potential problems. 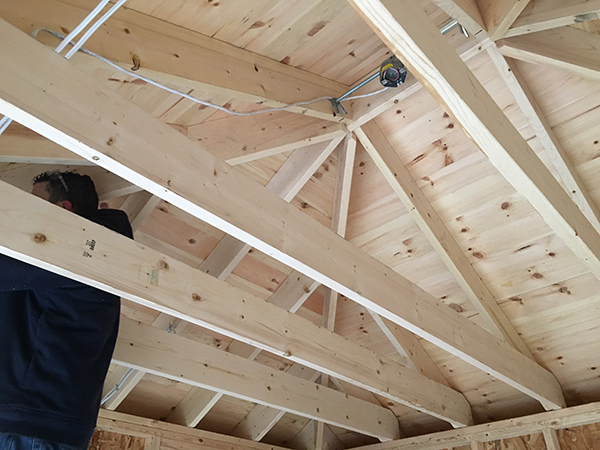 Jason was able to completely rebuild the ceiling, install a roof vent as well as soffit vents, insulate, and finish the entire interior. And suddenly we have a four-season urban cottage, which is exactly the feel we wanted. Thanks for coming through for us yet again Jay! 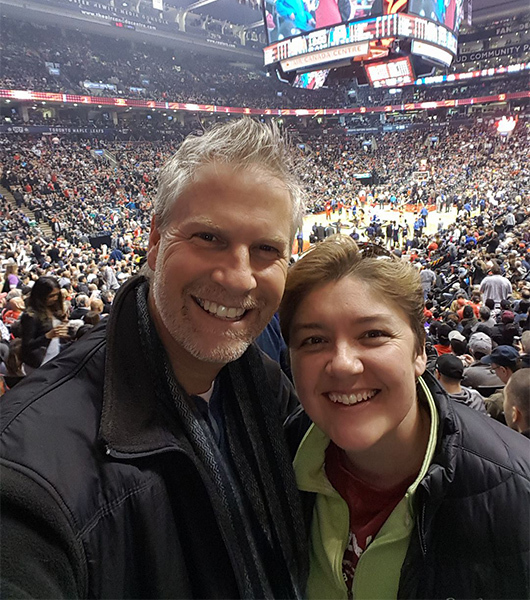 With additional new mortgage rules coming into effect in about a week’s time, it seems fitting to end with a shout out to an exceptional mortgage broker, Steve DeRee of Dominion Lending Centres. Not only is he one of the professionals we recommend to our clients, but we’ve also trusted him to help with a few deals of our own. Many people who have long-term relationships with their banking institutions simply go to their local branch to discuss mortgage financing. What they may not realize is that an independent mortgage broker often has access to better rates, better terms, or even completely different products, since a broker is not tied to the offerings of a single bank. Steve can explain the many factors above and beyond interest rates that should be compared when choosing the right mortgage product for you, and his expert guidance has helped many of our clients realize their home ownership dreams. We feel incredibly lucky to have these terrific professionals in our circle, and are grateful we can count many of them as not just business associates, but friends. When you find a good thing you just want to share it! Great content, as usual. Always makes for interesting reading……..